Joel D. Eaton’s life has been shaped by a love of writing and flying. Long before he launched a successful career as an appellate specialist with Podhurst Orseck in Miami, Eaton was studying English and writing regularly. He also became a pilot at an early age, and continues to take to the skies as often as possible. Asked what makes a good appellate brief, Eaton says the key is clarity. “I write and rewrite and proofread everything many times until things are perfectly clear,” he says. A native of Miami, Eaton grew up in a legal-minded family. His father, Joe Eaton, was a federal judge in U.S. District Court for many years. “We had some great discussions about the Bill of Rights over the dinner table,” Eaton recalls. At Yale, Eaton took a writing course with Robert Penn Warren, the Pulitzer Prize-winning author of “All the King’s Men,” a political drama set in the South. Eaton had to write a 500-word theme every day of the week for the class, as well as short stories on a regular basis, including one published in Yale Literary Magazine. After earning his bachelor’s degree in 1965, Eaton joined the Navy, earning his aviator’s wings in flight training school as the war in Vietnam was escalating. In 1968, he flew 91 combat missions over North Vietnam in an A-7 single-engine attack aircraft based on the carrier USS America. He returned for a second tour of duty in 1970, flying 59 more combat missions of North Vietnam and Laos from the USS Coral Sea, before leaving the service in 1971. “When I got out of the Navy, it was almost inevitable that I would apply to law schools based on my background,” says Eaton. “I was accepted at Harvard Law School, as one of four former military pilots in my class.” Eaton continued to write frequently at Harvard and one of his papers was published in Virginia Law Review. Meanwhile, Eaton had married a Miami native he met while in flight school in Pensacola. He and his wife Mary had their first child, Douglas, when Eaton was in law school. Today, Douglas Eaton is an attorney in the Miami firm, Eaton & Wolk. Their second son Darryl earned a degree in computer science and is an entrepreneur in California, and their third son David is an architect in Manhattan. “I’m now a proud grandparent of five, with a sixth grandchild on the way,” Eaton says. 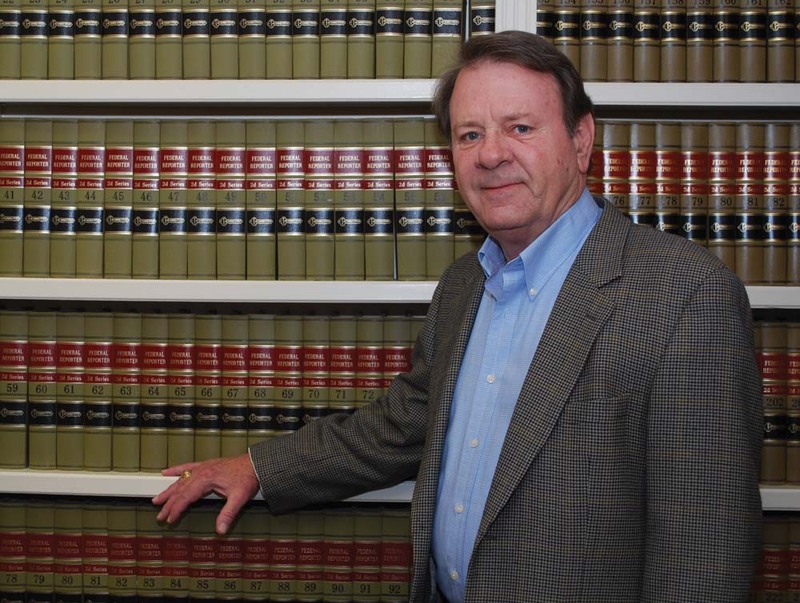 In 1975, Eaton joined the Podhurst firm and has practiced law there for the past 40 years. Because of his firsthand knowledge of aviation, Eaton began his career as a trial attorney handling plaintiffs’ actions in air crashes and other matters. But his career changed course in 1978 after firm co-founder Bobby Orseck drowned in the Mediterranean trying to rescue a child. One of Eaton’s successful appeals to the Florida Supreme Court was D’Amario v. Ford Motor Co., a 2001 case when a young man suffered minor injuries when the car in which he was riding hit a tree, but lost three limbs in the ensuing car fire that resulted from a defective fuel pump. “I argued that the liability of the manufacturer needed to be measured without taking the initial collision into account,” he says. Throughout his career, Eaton has been actively involved in organizations concerned with appellate practice. He served as chair of the Appellate Court Rules Committee of The Florida Bar, and two terms on the Florida Supreme Court Committee on Standard Jury Instructions in Civil Cases. On a national level, Eaton was adviser to “The Reporter of the American Law Institute’s Restatement of the Law of Torts (Third),” and is a member of the American Law Institute, the American Association for Justice.